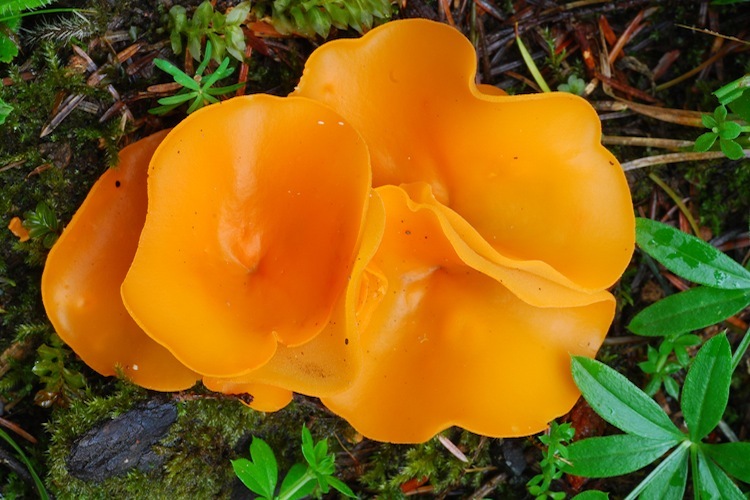 Aleuria have bright orange cup-shaped or flattened and often ruffly fruitbodies. Saprophytic. Ruderal, preferring waterlogged bare soil, trailsides, roadcuts, and landslide heaps. Identification is straightforward in the county as no other fungus really looks like it.